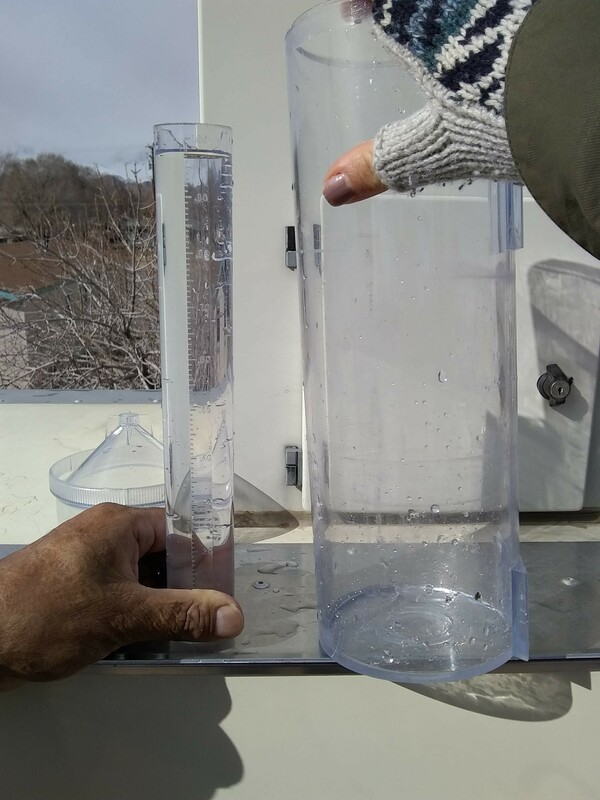 The Bishop Paiute Tribe monitors weather conditions on the Reservation. You can obtain current weather conditions and web cam image using the "Monitoring" tab above. To view other local and regional weather data, forecast and model portals, visit the Resources page. 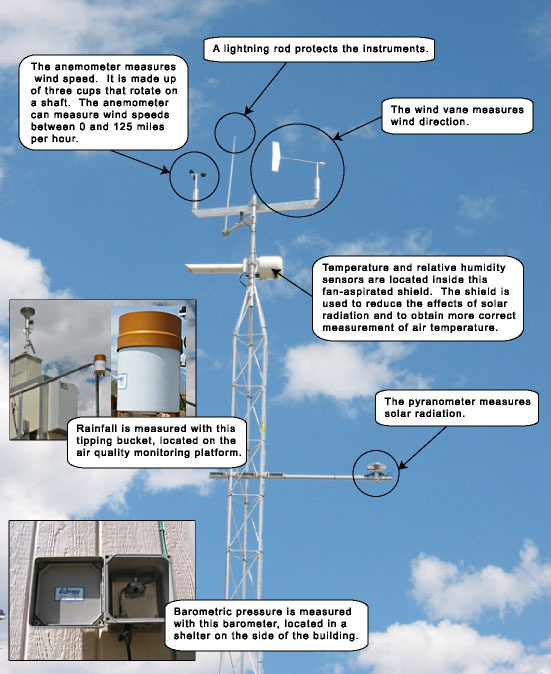 Current weather conditions are measured using a set of instruments, located at the top of a 10 m (30 foot) tower, next to the Environmental Mangament-A Office and air quality monitoring station platform, pictured below. The meteorological station measures wind speed, wind direction, max wind gust, temperature, relative humidity, precipitation, barometric pressure, & solar radiation; and calculates resultant wind speed, resultant wind direction, wind direction standard deviation, & dewpoint temperature. 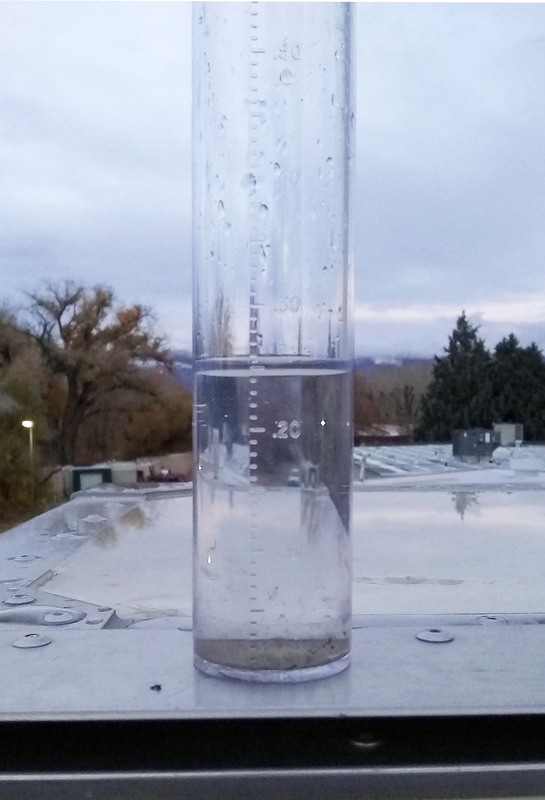 The Tribe also utilizes a National Weather Service/CoCoRaHS RG202 standard 4" gauge for collecting precipitation data- one of the most reliable and relatively accurate precipitation gauges available. The guage can collect up to 11", and is read in increments of .01 inch by reading the inner tube. 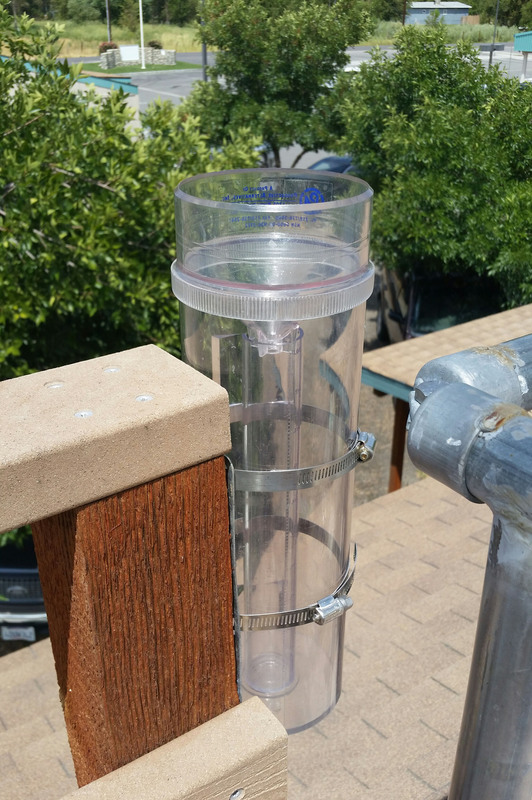 Amounts over 1" can be transferred to the tube for cumulative readings. The Tribe uses 2 cameras, one pointing at a fixed location, approximately 13 miles from the Reservation, and featuring Mt. Tom (Winuba), and one pointing southeast down Owens Valley, to collect information on visibility. Images are transmitted to the website once an hour, in PST. These images are juxtaposed with real time information on meteorological and air quality conditions, making it possible for website visitors to assess the contribution of various conditions to visibility. In addition, the images are archived on the Air Program’s server for use in assessing specific air quality and / or meteorological events. 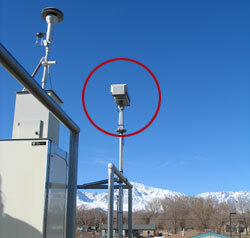 The cameras are Star Dot Netcams and are contained in dedicated weather-resistant shelters. Specific software to transfer visibility information to the website was created by Bob Baxter of T&B Systems.